The World Sight Foundation (WSF) was established in 2012 by Anthony Chignell MBE FRCS FRCOphth after many years of ophthalmic work. His interest in “developing world” ophthalmology arose during his years as Order Hospitaller of the St. John of Jerusalem Eye Hospital. Of the various models of ophthalmic aid currently available WSF feels strongly that education is one of the best ways of improving care on a long term basis. 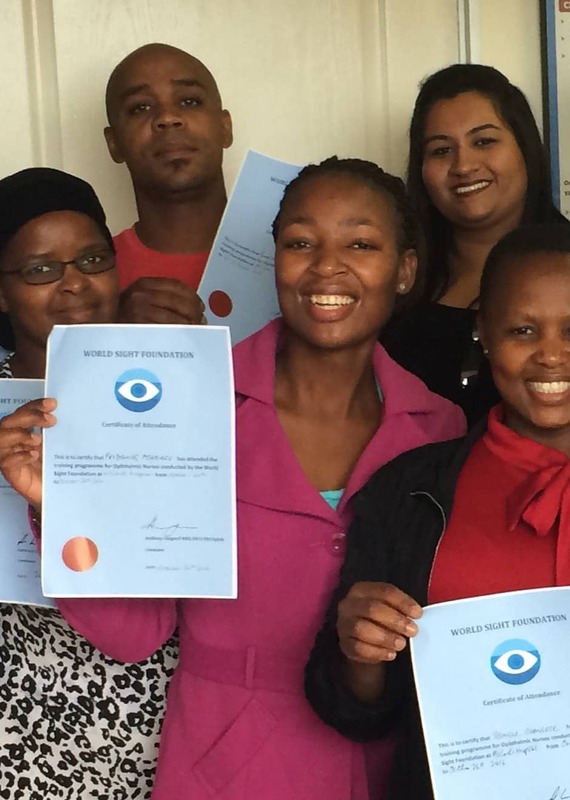 Thus, rather than being involved with the direct provision of services, we support the teaching and training of those involved with eye care. We consist of a small group of highly motivated volunteers with very limited administrative costs, enabling donations to be used for what they are intended. Decisions can be made quickly and we are close to the projects we partner. Within the WSF we have a group of highly respected advisers both from the UK and the international community. 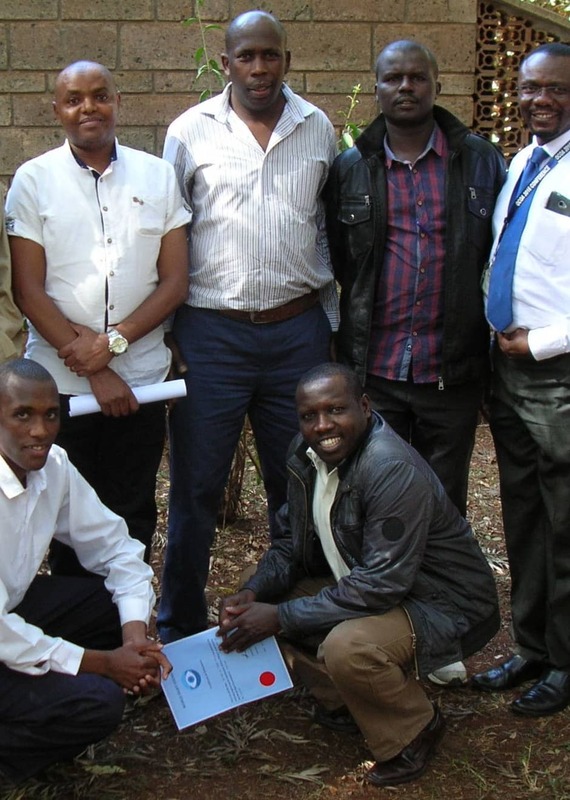 This team of professionals help us in all aspects of our work – particularly income generation and strategic planning. is Emeritus Consultant Ophthalmologist to St.Thomas’ Hospital, London. He has served on a number of sight related charities the most recent of which was as Hospitaller of the Order of St. John Eye Hospital in Jerusalem. is a retired stockbroker. He has served on a number of charitable bodies in Wales specialising in governance, most notably with the St John Priory for Wales with whom he has, and continues to hold, various senior positions. is Head of Production of Passion Pictures overseeing the theatrical documentary output for the company. She has previously worked for the BBC and Channel Four. She was part of the 2013 Oscar-winning production team behind Searching for Sugar Man and Listen to Me Marlon. is the Head of Investment Governance at Genesis Investment Management, LLP, an investment management firm specialising in emerging markets. She is a US trained lawyer and has previously worked at a leading New York law firm. is consultant ophthalmologist and clinical director at the Bristol Eye Hospital. He has been a member of Council of the Royal College of Ophthalmologists and Chairman of the paediatric sub-committee of the Royal College. He has been a reviewer for the British Journal of Ophthalmology and Eye Journals. He has had extensive experience of international ophthalmology. is an ophthalmologist with a Masters degree in epidemiology who has worked at the International Centre for Eye Health (ICEH) since 1990. She has a national and international reputation for her work in ophthalmic public health in developing countries with particular expertise in paediatric ophthalmology. Mrs Philippa Saunders OBE is a Consultant Advisor. She has worked for Oxfam, DFID, Save the Children Fund and Christian Aid. Her expertise is in health policies, WHO, and all aspects of medicines to include availability, quality and use. Miss Wendy Franks FRCS FRCOphth has recently retired as Consultant Ophthalmologist and Director of the Glaucoma Service at Moorfields Eye Hospital in London. She is co-chair of UK Vision 2020 primary eye care group and member of the NICE Glaucoma guideline development Group. Mrs Jane Tapley is Head Orthoptist at the Royal Berkshire Hospital, Reading. Her expertise is in developing, teaching and organising orthoptic programmes and services nationally and internationally. She has been external examiner for undergraduate and postgraduate orthoptic degrees at the University of Sheffield and the University of Liverpool and is currently an officer of the International Orthoptic Association. Dan Clayton Jones OBE TD DL lives in Wales and has been a prominent member of the community there for many years. He has extensive business interests and he has recently completed six years as Prior of the Order of St.John Priory for Wales. Mr Bill Glasson OA, FRANZCO, FRACS, FRCOphth is an ophthalmologist in Brisbane. He has been the Federal President of the Australian Medical Association and is currently President of the Royal Australian and New Zealand College of Ophthalmologists. He is Chair of Cancer Australia and is a Lt. Colonel and Consultant Ophthalmologist to the Australian Armed Forces. Professor David Wong FRCP FRCS FRCOphth was until lately the Director of the Eye Institute and Albert Bing-Ching Young Professor of Ophthalmology, LKS Faculty of Medicine, University of Hong Kong. He is now Consultant Ophthalmologist at the Royal Liverpool Hospital in the UK. He holds a number of prestigious International positions and is a leading expert on retinal disease. Mr William Dean MRCOphth has had extensive experience of working in Africa. For several years he worked in Nkhoma Hospital in Malawi. He is committed to the concept of surgical training in Africa. Professor Linda Visser is the Head of the Ophthalmology Department at the University of KwaZulu-Natal. She was trained in South Africa and has special expertise in medical and surgical retina and ocular inflammation– including HIV-related diseases. She holds a number of prestigious ophthalmic positions in South Africa. Mrs Anjali Birla Sawhney and her daughter Miss Shreya Sawhney have kindly consented to become Vice patrons of our charity. They are part of a distinguished family from Delhi and have been enthusiastic supporters of our work for some years. Selection of places to support is critical, otherwise, time and money will be wasted. The most difficult and important aspect of this selection process is to identify capable local leadership. This must, for example, be able to develop a simple strategic plan for ophthalmic services, and identify priority needs and financial requirements. We will only support an initiative when we have visited the country concerned and feel confident that local leadership can deliver sustainable advances through education. We are reactive to perceived local need and ownership of the initiative remains wholly in local hands. Our support usually takes the form of sending teachers to conduct short concentrated courses, but on occasions we provide direct financial support for training courses and also enable visits to the UK for special training. We intend support, to be on a long term basis so that a strong sense of partnership between our donors and recipients is developed. There is a small board of trustees and governance is as simple as possible. Supported projects are carefully monitored and evaluated. We are reactive to perceived local need and ownership of the initiative remains wholly in local hands. Our support usually takes the form of sending teachers to conduct short concentrated courses, but on occasions we provide direct financial support for training courses and also enable visits to the UK for special training. Where we give financial support we only do so if we are satisfied that there is a determined local effort in the country concerned to contribute funds to the initiative. We intend support, to be on a long term basis so that a strong sense of partnership between our donors and recipients is developed. There is a small board of trustees and governance is as simple as possible. Supported projects are carefully monitored and evaluated.